A foundation covering applied directly on the cylinder for autoclave and finish decatising machines. 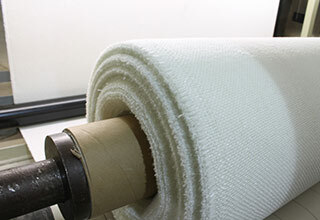 Provides protection for the bedding and wrappers, prolonging the lifespan of both, and assists in ensuring a uniform distribution of steam. Under-bedding also reduces the need for cleaning of the cylinder.